Martha Minow, dean of the Harvard University law school, has endorsed the recommendations of a panel she appointed to change the law school's seal, a major demand of minority students and others. The seal (visible at right in a logo used by the student group) shows three bundles of wheat. Students say the seal is inappropriate because it was the family seal of Isaac Royall Jr., who was honored as a major early donor to the law school but was also involved with the slave trade in the 18th century. In announcing her recommendation to end use of the seal, Minow wrote that the debate raised many issues. "Whatever was known in the past, powerful and challenging questions now arise about the Harvard Law School shield," she wrote. 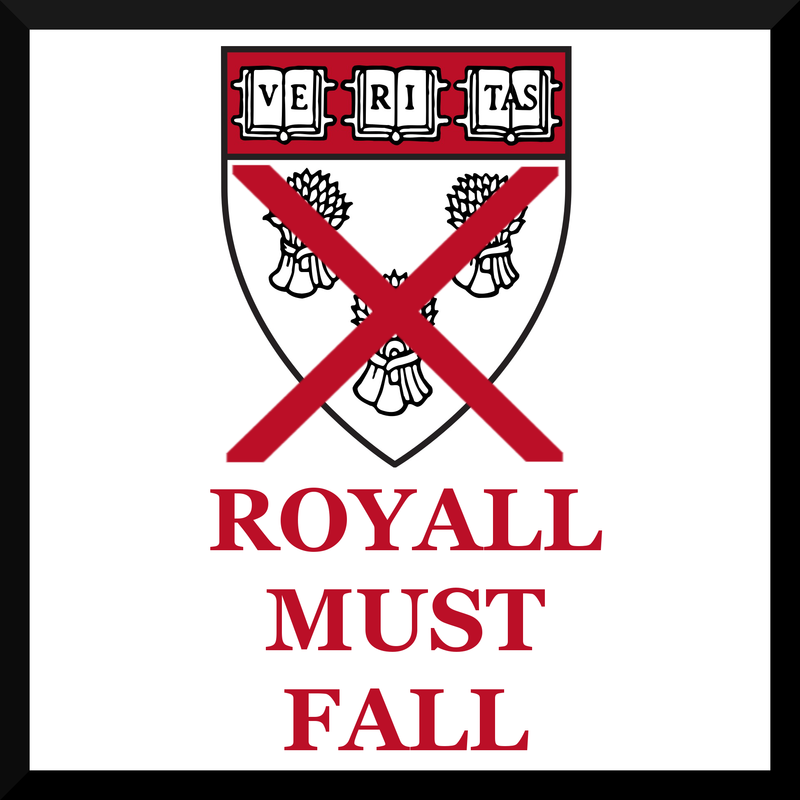 "Designed in 1936 as part of the university’s tercentenary, it contains a design based on a bookplate used by Isaac Royall Sr., who passed his wealth -- including enslaved persons -- to his son, the initial donor to the school. What role should history play in defining who we are? What was the genesis of the shield and how does that history influence our path forward? Do we better remember our connection with the Royall family and with slavery by preserving the shield or by retiring it? What role do symbols play in the school’s commitment to diversity, inclusion and belonging inside our community and in the world at large? Does consideration of the shield’s future put into question the names of buildings, endowed chairs, the nation’s capital and other embodiments of the past?" Minow also gave her rationale for asking Harvard's governing board to vote to change the seal. "There are complex issues involved in preserving the histories of places and institutions with ties to past injustices, but several elements make retiring the shield less controverted than some other issues about names, symbols and the past," she wrote. "First, the shield is a symbol whose primary purpose is to identify and express who we mean to be. Second, it is not an anchoring part of our history: it was created in 1936 for a university celebration, used occasionally for decades and used more commonly only recently, and does not extend back to the origin of the school or even much beyond recent memory. Third, there is no donor whose intent would be undermined; the shield itself involves no resources entrusted in our care."